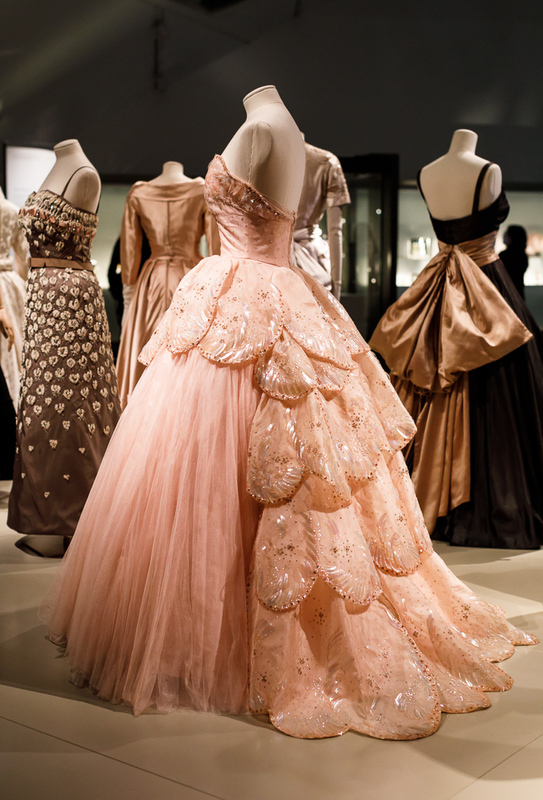 On a recent trip to Toronto I went to see the Christian Dior exhibit at the ROM. I've always loved fashion and clothing but wasn't sure what to expect from a display of ultra high couture dresses and gowns. Perhaps they'd seem strange and old-fashioned, suited to another world, another age. Or simply extravagant and ostentatious, unattractive symbols of wealth and privilege. The exhibit is beautiful. There are dresses of all sorts - cocktail dresses, dinner dresses, long gowns, summer dresses, and a group of three dresses designed for a mother and her two daughters. All are exquisite. The detail remarkable, the fabrics rich and varied, each chosen to work with a particular design. And they are timeless. 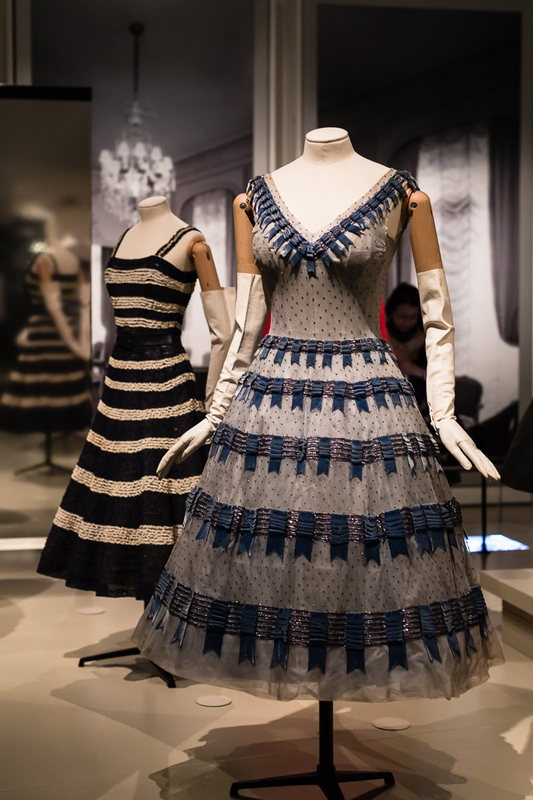 These dresses could just as easily be worn today as they were 60 and 70 years ago. A cocktail dress and summer afternoon dresses. Much of the exhibit is displayed in open spaces and that gives it a special feel. You can walk around the clothing, see it from all angles, and appreciate that there's as much detail, sometimes more, in the back of the dress as on the front. Along all sides of the room were exhibits in glass - sequins and other stones that were applied to certain gowns, embroidery skeins, fabric swatches, shoes, some jewellery - along with other pieces of clothing. The origin of each, how it was created, and its purpose for the garment was well explained. As interesting as that was, and it did add valuable information about the complexity and rigour of the construction process, having the articles behind glass was a distraction. The beauty for me lay in the three-dimensionality the on-floor exhibits offered, and I was mesmerized. Three dresses, created for a mother and her two daughters, for a special event. Each dress a work of art, and each designed to best suit the age of the person wearing it. Detail from the back of the younger daughter's dress, and two more long gowns. On the way out I was asked if I would participate in a survey about the exhibit. Normally I avoid those things but this time I said yes, and I'm glad I did. The focus of the survey was to understand the impact of having items on open display versus in cases. In most museums, the exhibits are always under glass, and I understand that, given their value. But that has limitations. The glass reflects, the items can't be seen as well, and they're certainly not as accessible. This exhibit was special, and very well curated, and I hope the ROM plans on doing this again. Due to popular demand the exhibit has been extended until April 8. If I can I'll visit it again. 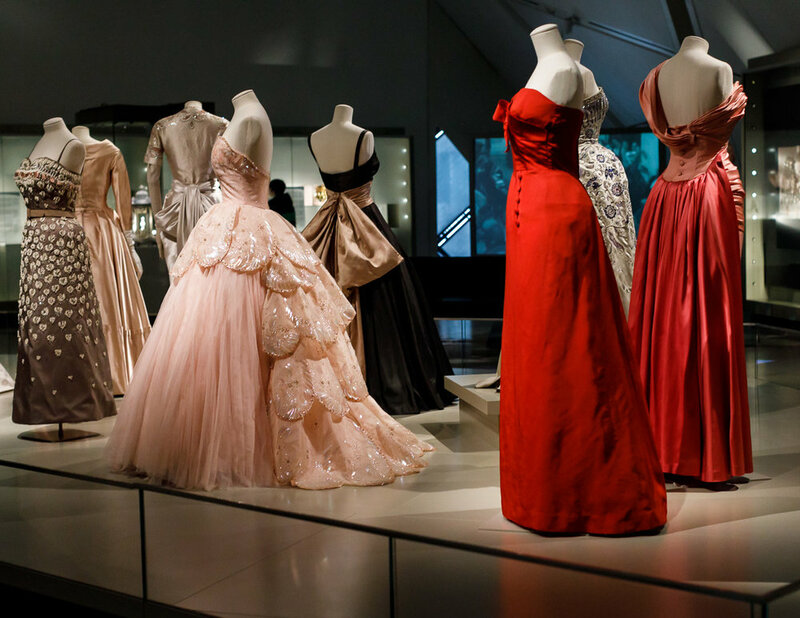 And if any of you reading this are in the Toronto area and have some time this Christian Dior exhibit at the ROM is well worth seeing.